Too often our days fly by, filled with mundane but necessary details of our and our family's schedules. Between work, errands, and other obligations many of us don't get a moment to utilize our creative minds — not to mention work with our hands — nearly as much as we might like. And when we do take a moment, we don't always have the resources or leftover imagination to carry out the type of projects on our (and our kids') dream to-do lists. Thankfully, that's where Makers Mess comes in. 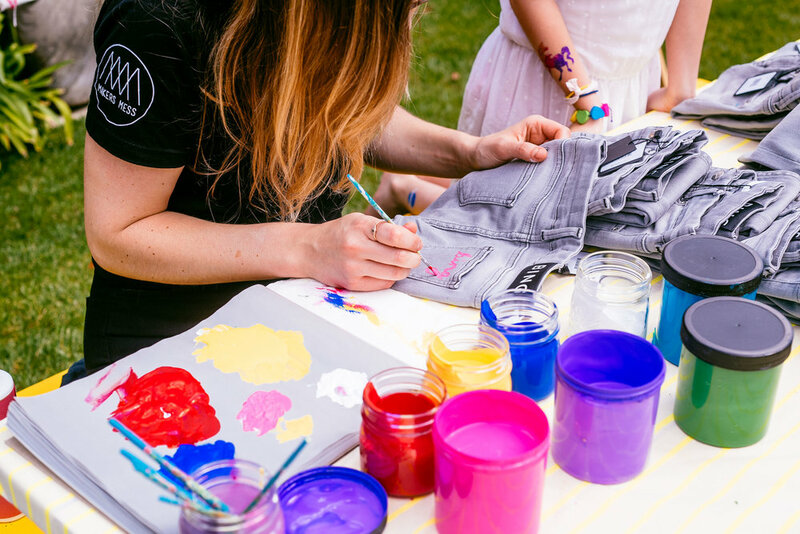 The creative studio, located in the Silver Lake neighborhood of Los Angeles, offers an impressive range of art and design classes for adults, kids, couples, friends, and families. 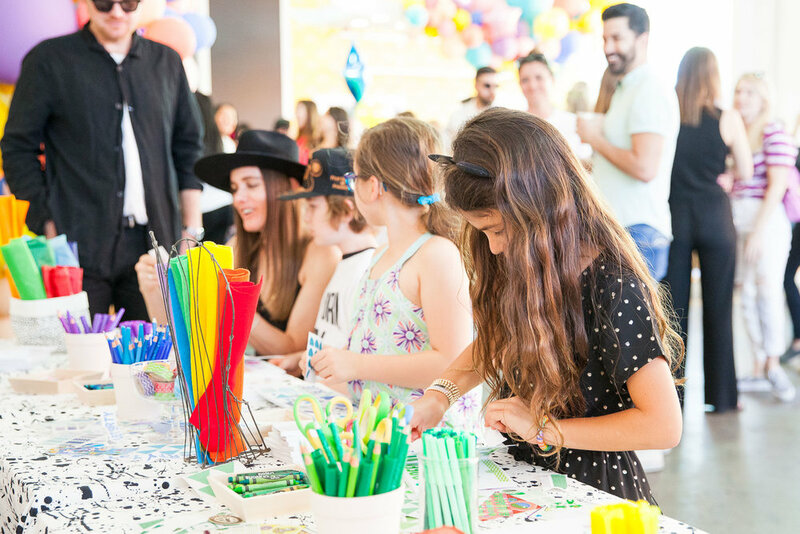 And besides its in-house offerings, Makers Mess also has on-site options available, as many of our LA members know from past events, like our Baby Dance Party and our Mother's Day pop-up with For Love and Lemons, where the DIY crafting stations have been huge hits. The goal of Makers Mess is to connect community as well as to help bring out anyone's inner artiste. And the company's founder, Brandy Lewis, knows firsthand how powerful tapping into that can be. A former manager in the entertainment industry, she'd found herself burnt out by the business, and after losing her father, discovered how truly important to her health and happiness it was to indulge in creative pursuits, like writing. And since not everyone gets to flex their artistic muscle in their job or daily life, Makers Mess provides a perfect opportunity for us all to tap into that, via everything from making concrete planters to perfecting brush lettering and so much more. As for the littles, not only does the studio have regular offerings for all the mini creators out there, but currently they can enroll in a Summer Art Camp through August 17th where creative themes change weekly. Kids can get immersed in the entire week ($375) or just hop in for a day ($85). Other classes at Makers Mess start at $46 and vary depending on the necessary materials, and if you're hosting your own event, check in about their private off-site offerings. Whatever route you choose, the reward is the same: taking a break from daily life to get your hands dirty (sometimes literally! ), let your imagination run free, and reconnect to the inner artist that's been dying to get out. Visit Makers Mess or reach out to hello@makersmess.com for more info or specific questions.